Constance: Anyone care for a game of bridge after dinner? Louisa, how about you? Louisa Stockbridge: Oh, I don't think so. I've rather gone off cards. I've never been very lucky with them. Sir William McCordle: Me too. Q: Was Ivor Novello a real person? Q: How could "The Americans" not know how the breakfast was served on the third day? 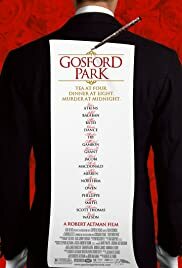 It thrills me to say that after a string of stinkers ("Dr. T and the Women," "The Gingerbread Man") and so-so light films ("Cookie's Fortune"), Robert Altman has an unequivocally excellent film on his hands with "Gosford Park." It's a film that works on many layers and needs to be seen more than once for one to fully appreciate its resonance. The film admittedly stinks as a murder mystery---it's almost funny how little Altman himself seems interested in the who-dunnit. But, typically for Altman, it's the deconstruction of the genre that he's interested in, not the genre itself. 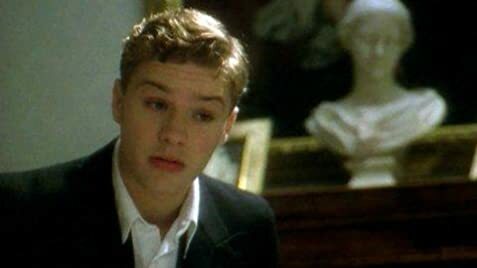 This movie isn't about a murder in a country house; it's a movie about class differences and people connecting (or not connecting) with one another. It seems futile to mention stand out performances in a film filled to the rafters with stand-out performances, but I did especially like Emily Watson as a cheeky maid, Helen Mirren as the "perfect servant," and Kelly MacDonald as the novice lady's attendant who grows more than anyone else over the course of the film. The film is at its best when it's probing the emotional depths of the story---it comes across as a bit too glib when the satire gets especially acidic (mostly with the Kristin Scott Thomas character), but like the best of his movies ("Nashville," "M*A*S*H," "Short Cuts") Altman knows how to control his own cynicism and doesn't let sarcasm rule. With his on again-off again track record, we can expect the next Altman film to tank, so let's enjoy this one while we can.